Provident Fund (PF) Balance online, how to check EPFO account balance Online. Employees are informed that epfindia.gov.in is the only official website of the EPFO and they shouldn't share their personal details like Aadhaar, PAN and UAN details with telephone with anyone because several fake websites are flashing wrong information about the provident fund. 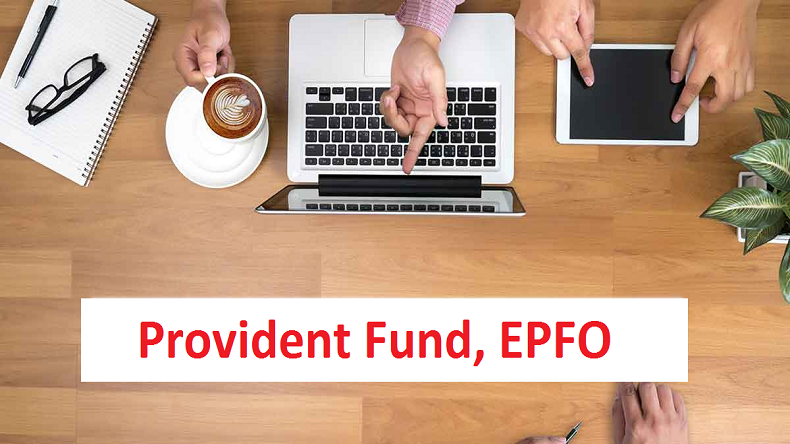 Provident Fund: Any member, registered on the Unified Member Portal, can view his Passbook on the EPFO website. However, the facility is not available for the Exempted Establishments Members or Settled Members or InOperative Members. The Passbook will be available after 6 Hours of registration at Unified Member Portal and changes in the credentials at Unified Member Portal will be effective at this Portal after 6 Hours. Employees are informed that epfindia.gov.in is the only official website of the EPFO and they shouldn’t share their personal details like Aadhaar, PAN and UAN details with telephone with anyone because several fake websites are flashing wrong information about the provident fund. The EPFO HR software can be accessed using hr.epfindia.gov.in/hrm. Employees can check the balance of their Provident Fund account either by sending a text message or by calling the EPFO Help Desk. Pensioners are requested to submit their Digital Life Certificate for the year 2019 either through UMANG mobile application or at any nearby common service centre or EPFO office.